El Verde Camacho, Stone Island, Deer Island, Las Labradas Barras de Piaxtla and Playa el Caimanero beaches. 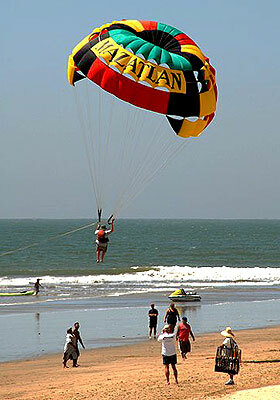 Enjoy surfing, snorkeling, swimming, parasailing and just sun-tanning in Mazatlan! Finding the best Mazatlan beach on your 2019 vacation! 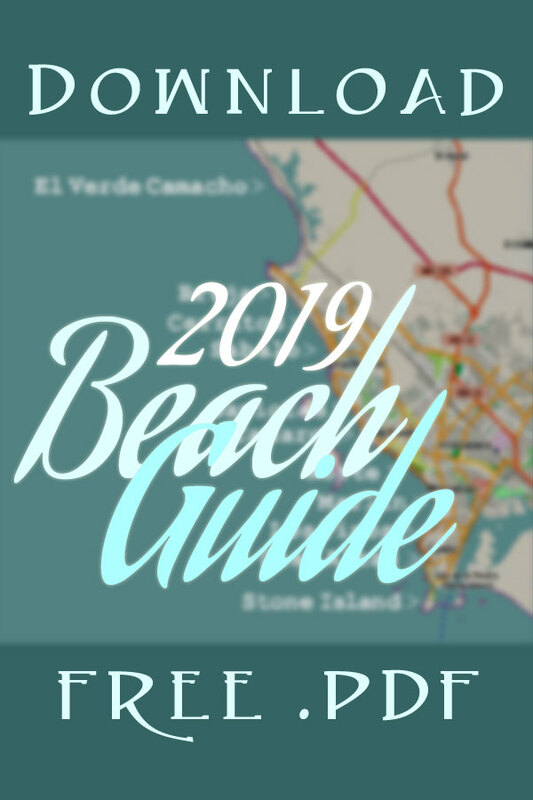 Download a free Mazatlán Beach Guide 2019 map with descriptions of our beaches! Whether in-town or beaches slightly further afield like those of our islands, Las Labradas or Playa el Caimanero, Mazatlan beaches offer relaxation and tranquility -- as well as surfing, water sports, and recreation for everyone! Our city has one of the longest stretches of uninterrupted urban beach in Mexico. At low tide you can walk far from the shore at many of our best beaches, and the water temperature tends to stay moderate-to-warm all year. Combate Naval fireworks at Olas Altas beach during Carnival 2019! 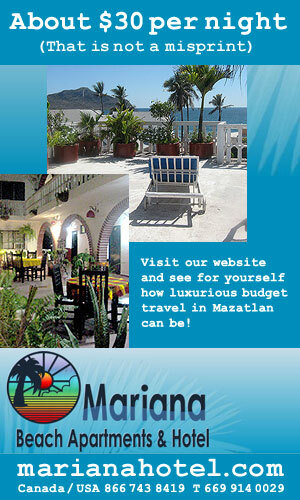 Top rated Mazatlan beaches are renowned worldwide. 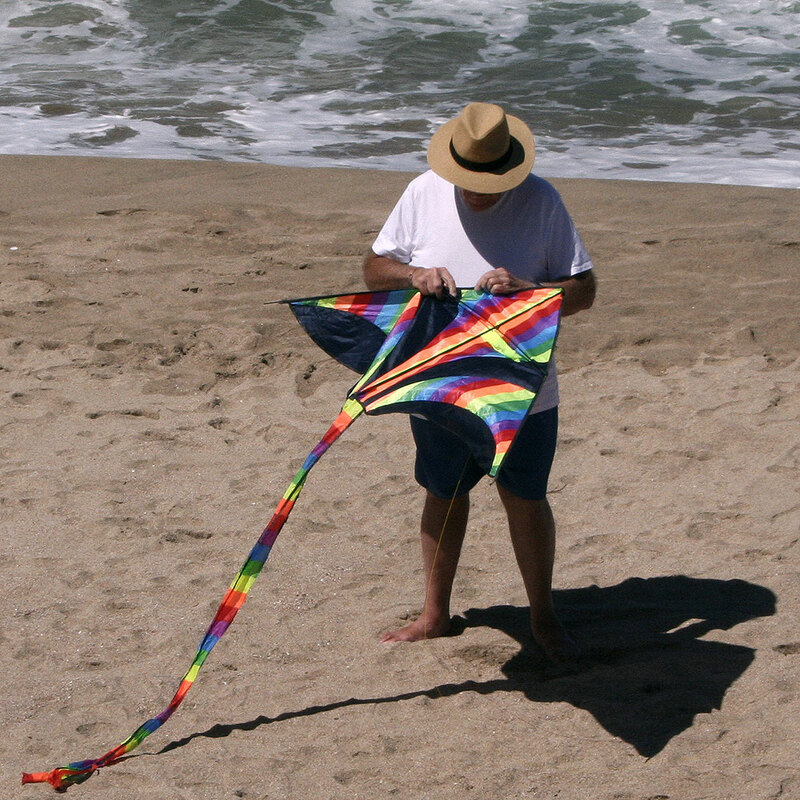 At our beaches parasails float on soft sea breezes; surfers enjoy the waves, and sunbathers of all ages enjoy the warm Tropic of Cancer sun and frolic in the ocean. While there's plenty of space and opportuniity for privacy, many of our most highly recommended beaches are vibrant with activity, water sports, and delightful palapa restaurants and vendors offering refreshing beverages and delicious food. 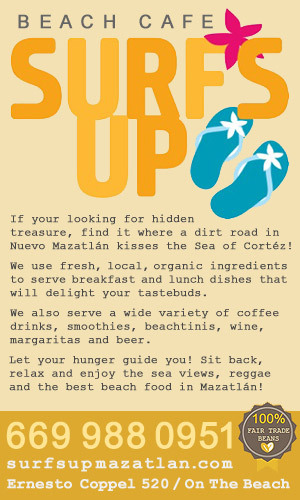 Surfers love the beaches of Mazatlan and, of course, the waves! Whether a beginning surfer, intermediate surfer, or more advanced wave rider our very popular Mazatlan surf scene will entertain you all day long. Surfers and other lovers of high waves are particularly drawn to Playa Olas Altas, Playa Los Pinos, and Playa Bruja and Playa Cerritos. If your idea of what a Best Beach should be is where you can relax while listening to the peaceful sound of waves, experience Playa Sabalo at the north end of the Golden Zone - Zona Dorada or Playa Cerritos, at the very north end of Nuevo Mazatlan. If your best beach has a party atmosphere try Playa Las Gaviotas and Playa Camaron -- some of the oldest and most popular Mazatlan beaches that span the Golden Zone - Zona Dorada; Playa Bruja when surf's up; or the beaches of Stone Island on the weekends. 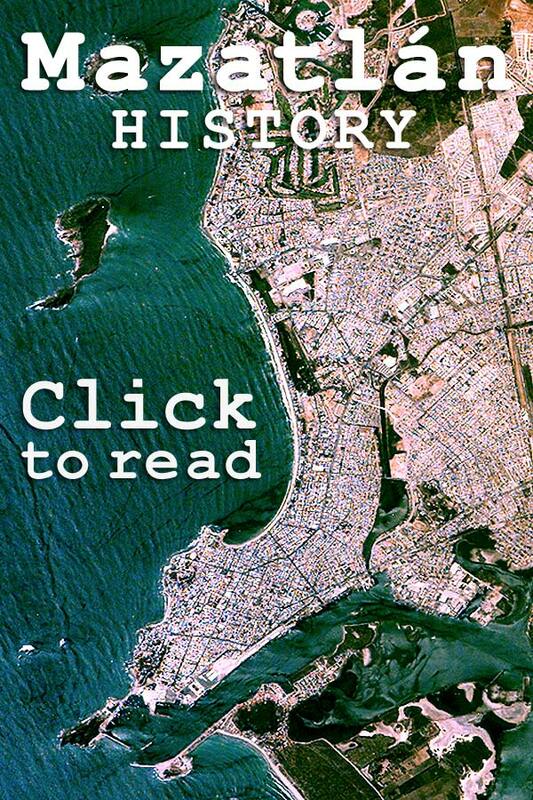 The city beach part of the Mazatlan Beach Guide is organized from South to North. 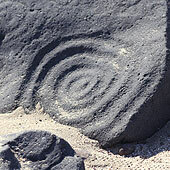 It begins on Stone Island (Isla de la Piedra), just across the channel from Playa Sur and South of our next beach, Olas Altas, located on the eastern edge of the Centro Historico. We end just north of the northernmost point where development is allowed in Cerritos at Playa El Verde Camacho, a spectacular eco-reserve that stretches north four miles to the mouth of the Quelite river. At the bottom of the page you will find Beach Guide information about our hidden treasures: the pristine and secluded beaches on Deer Island (Isla de Venados) and the nearby out of town beaches at Las Labradas, Barras de Piaxtla and Playa Caimanero. 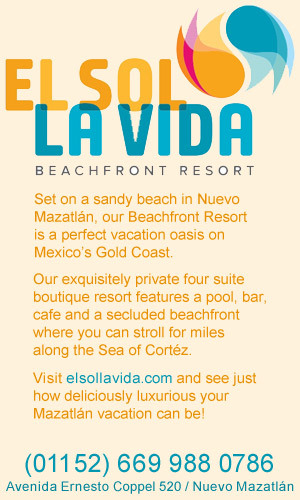 Our beaches are perfect for you and your family. 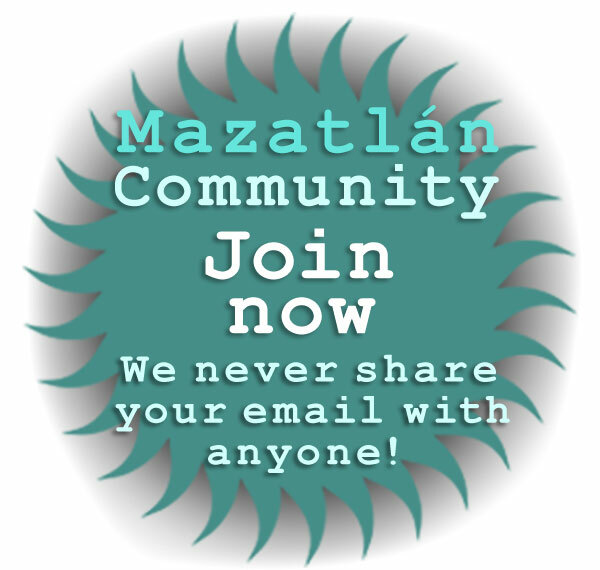 Wouldn't you rather be on a Mazatlan Mexico Beach? 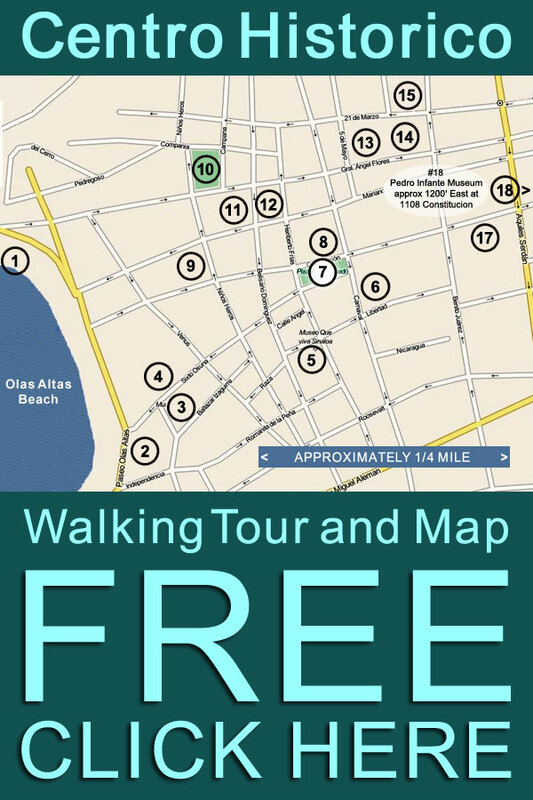 Download this free Mazatlán beach map with descriptions of our beaches! No guide to the best Mazatlan beaches can overlook Stone Island -- many believe that Isla de la Piedra has some of the nicest beaches in Mazatlan. The 5 minute boat trip is enough to keep some travelers away, allowing a less crowded environment for those who take the few minutes to visit these beautiful Mazatlan beaches. 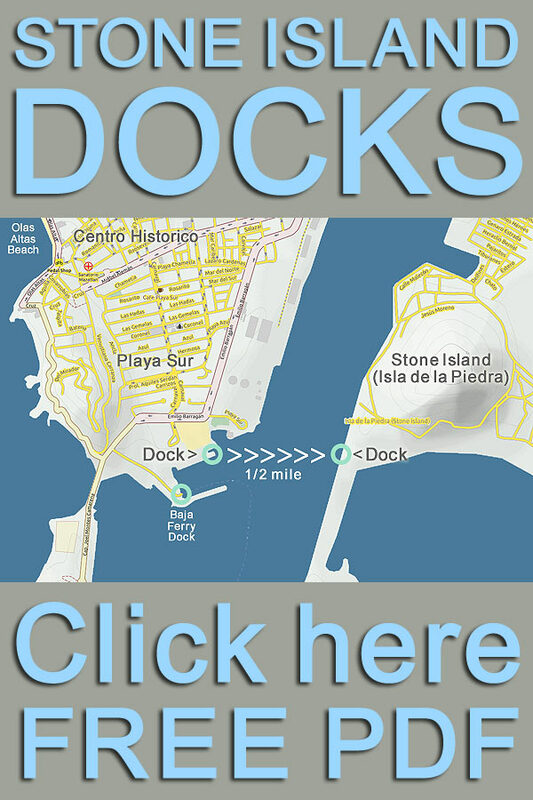 Download a free map to the dock with boats that will ferry you to Stone Island! Enjoy a variety of activities, snorkeling, and other water sports, or walk barefoot without seeing another human being -- all the while enjoying the company of majestic tropical palm trees for as far as the eye can see. With about 4,000 residents, Stone Island day trips from Mazatlan have just the right combination of amenities and tranquility. Palapa restaurants line the Stone Island beach where you land. Populated by vendors and, sometimes, mariachis, these breezy and shady Stone Island restaurants are make a lovely gateway to the island and a great place to cool off in the shade and enjoy the ocean view. Most Stone Island restaurants offer umbrella-shaded areas with lounging chairs and hammocks if you'd just like to kick back on your Mazatlan day trip and and enjoy a margarita, fresh limeade, or an ice-cold Pacifico beer. Many Stone Island restaurants and small businesses also rent out ATVs, catamarans, banana boats, snorkeling equipment, and horses to those on Mazatlan day trips. Showers and volleyball courts are sometimes available from other Stone Island businesses -- sometimes free of charge -- making Mazatlan day trips to Stone Island beaches inexpensive and stress-free. You want a pizza pie? Benji's Pizza is the only restaurant that serves pizza on Stone Island. They offer traditional pizzas and unusual Mexican pizzas such as shrimp garlic pizza. Pizza Benji's on Stone Island also serves a number of non-pizza offerings, like Shrimp Diablo. 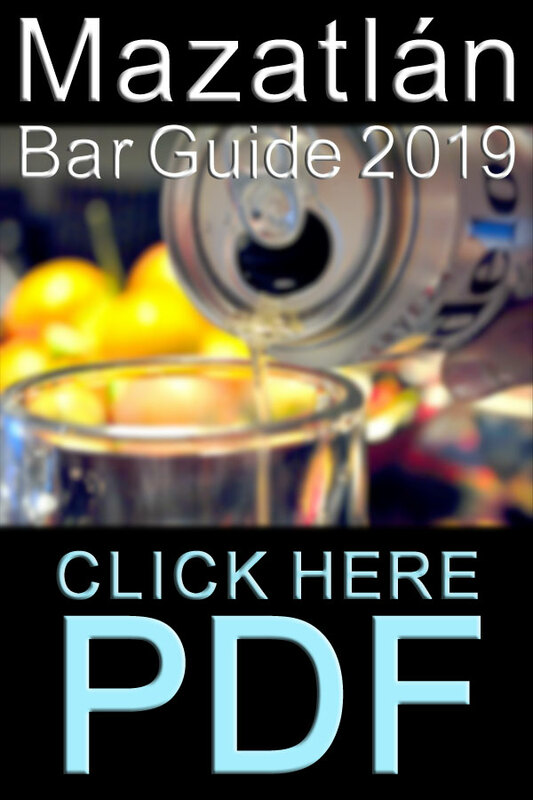 Benji's Pizza serves both alcohol and non-alcohol drinks. Carmelita's on Stone Island was founded in 1938 by Señor Rodrigo Aguirre and Señora Maria del Carmen Ruvalcaba. Like all Stone Island seafood restaurants, Carmelita's fresh fish is caught daily. Carmelita's on Stone Island also serves excellent hamburgers and fresh tangy ceviche. Carmelita's is within the Hotel Stone Island Gardens, an excellent budget priced Mazatlan hotel offers Mazatlan day trippers consistently excellent service, a terrific relaxed atmosphere, and delicious food. 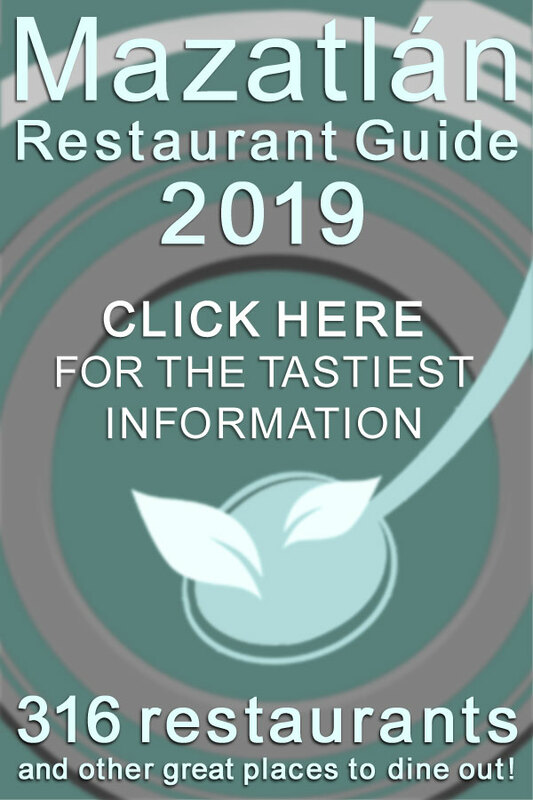 Lety Aguirre was the founder of Lety's restaurtant on Stone Island, a highly recommended and very popular family-run palapa restaurant located right on the beach. Lety was a native of Stone Island, and took great pride in her restaurant. 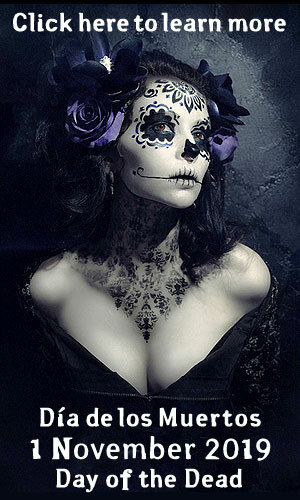 Now deceased, her tradition of only using fresh and delicious ingredients continues. 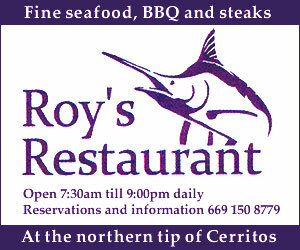 Fresh grilled chicken, homemade soup, quesadillas, and combination plates are all offered, along with great seafood. Visitors to Stone Island appreciate that showers with changing rooms are available at Lety's on Stone Island -- which makes this a great place to cool off after hours playing beach volleyball or body surfing. Take a day trip to Stone Island, visit Lety's, enjoy a home-made limeade, and nap the afternoon away in a hammock! Molokay has been a Stone Island restaurant favorite since 1954! Located right on the main beach, this restaurant delivers cold beer, fresh shrimp, delicious octopus and all sorts of other Mexican seafood treats -- all delivered by a friendly and efficient wait-staff. If you're looking for a relaxed but surprisingly elegant place -- think linens and tablecloths -- to kick it on Stone Island you can't make a better choice than Molokay. 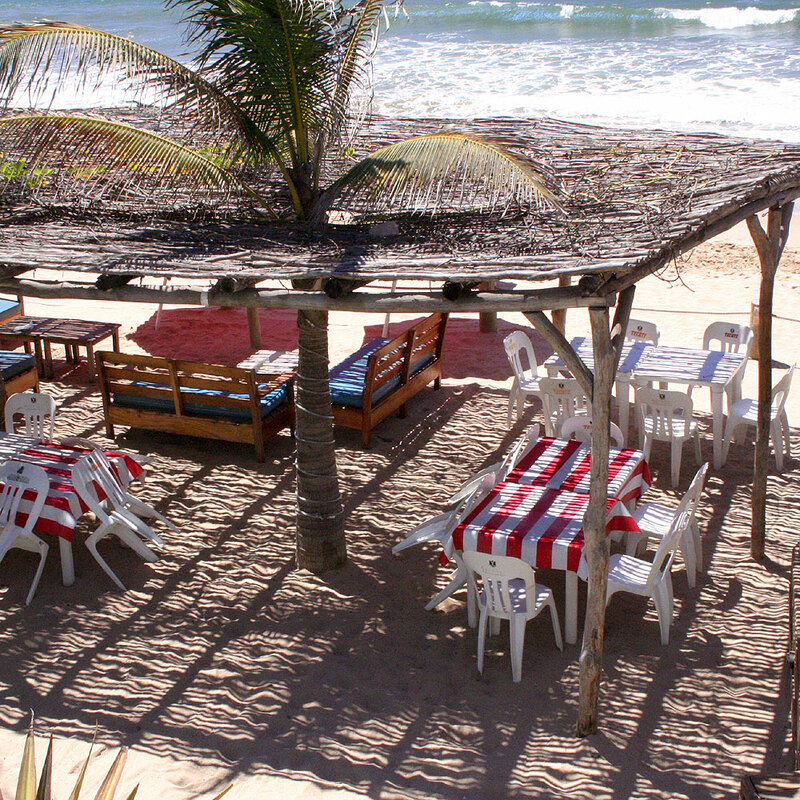 Lunch at Victor's restaurant on Stone Island is a great Stone Island beach day trip decision! At Victor's restaurant on Stone Island you can relax in the sun or shade, and there are hammocks to swing in. Victor's is inexpensive, and the portions ample. The garlic shrimp, for example, has 10 jumbo shrimp, and comes with onion rings, rice, vegetable, cole slaw and fruit! Those on Mazatlan day trips to Stone Island appreciate that beach chairs, boogie boards and and other fun beach stuff is free at Victor's, and the chips and home made salsa are delicious. Victor's is also a bar, and is one of the few places on Stone Island where Margarita's are served. 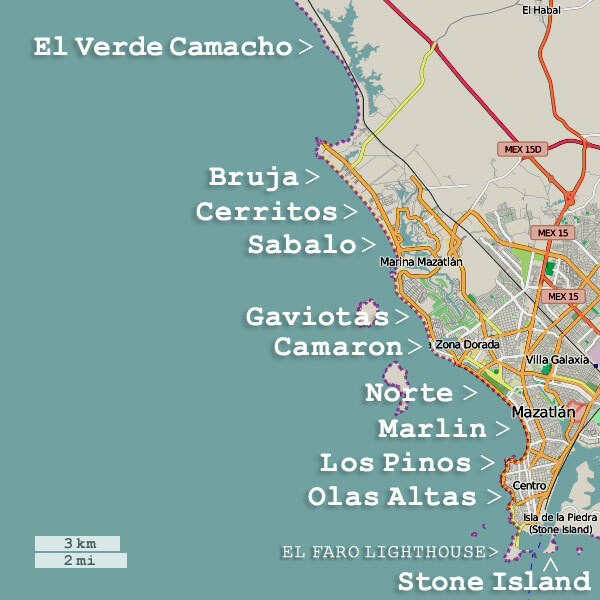 Getting to Isla de la Piedra couldn't be easier! Drive (or take a taxi) to the Playa Sur Embarcadero near the Baja Ferry terminal -- you'll see signs for various lancha operators. The ride is short, the lancha's leave about every 20 minutes, and they cost only 25p! Because of its sheltered orientation, the beaches of Isla de la Piedra are usually calm, and the water is often warmer than at most of the beaches within The Pearl of The Pacific. When you reach Stone Island you will find open air restaurants and miles and miles of pristine beach. Playa Olas Altas means "Beach of Big Waves", and Playa Olas Altas is one of the most popular beaches for surfers during the summer. Situated at the southern end of of the Malecon -- just steps from the heart of the Centro Historico -- Playa Olas Altas has been drawing tourists to Mazatlan from around the world for decades. Playa Olas Altas was the first of our tourist beaches. Discovered by tourists immediately after WWII, it has remained a favorite beach for both Mazatlecos and visitors ever since. This top rated beach offers lovely views of our islands, is especially beautiful at sunset, and offers ideal opportunities to take a break and relax at one of the Malecon cafés while surfers entertain you! Now lined with delightful Malecon restaurants like El Shrimp Bucket, Olas Altas beach attracts surfers and tourists from around the globe. For those who would like to stay right at Olas Altas beach there are classic hotels right on the Malecon, notably including the La Siesta and the Posada Freeman. Occasionally not ideal for swimming because of waves -- usually during Summer rainy season -- Playa Olas Altas remains one of the best beaches in Mazatlan Mexico. For those who want to get salty Sea-of-Cortez-wet safely on rough days -- or who have children they'd rather see playing in an enclosed setting -- there is a very cool public saltwater pool, La Carpa Olivera, located at the northern end of Olas Altas beach. 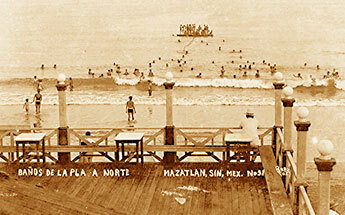 Swimming and splashing at La Carpa Olivera has been a tradition for Mazatlan families since 1914! The saltwater pool and associated facilities were totally renovated in 2014 - 2015 and since have become one of the more popular beach destinations in Mazatlan. One of the less-visited Mazatlan beaches, the small wave-tossed Playa Los Pinos is located just north of the Ciencias del Mar (Marine Sciences) college, between that facility and the Fisherman's Monument -- right in Centro! 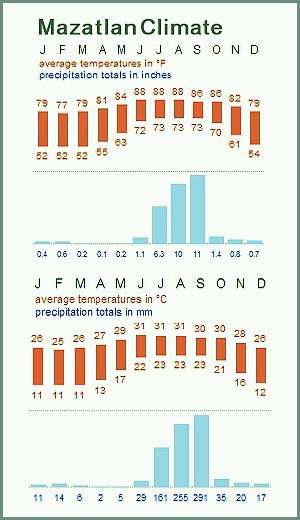 The temperature of the water at Playa Los Pinos in Mazatlan varies between warm and delightfully cool. Mazatlan's Playa Los Pinos is gently inclined and the sand is tan. Although the narrow strand of the Playa Los Pinos is more suitable for wading than swimming, the rocks provide good casting spots, and the swells challenge both beginning and intermediate surfers. Low tide at Playa Los Pinos exposes a remarkable profusion of sea life within the puddles on the rocks. One of the Mazatlan Beach Guide recommended best beaches in the Pearl of The Pacific, we encourage visitors to drop by -- if for no other reason than to experience the delightful tide pools! 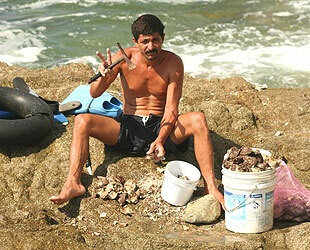 It's not exactly insider-information that fishermen sell their daily catch at Playa Los Pinos. Drop by in the morning and see what they're selling -- maybe you can even score fish-on-a-stick, one of our more delicious street foods. 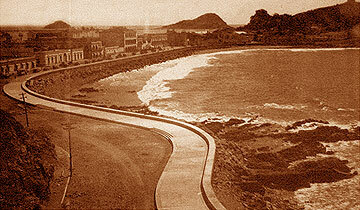 Mazatlan's Playa Marlin beach fronts the malecon along Avenida del Mar. A tunnel connects this beach with the Hotel Hacienda, and there are steps that lead down from the Malecon. 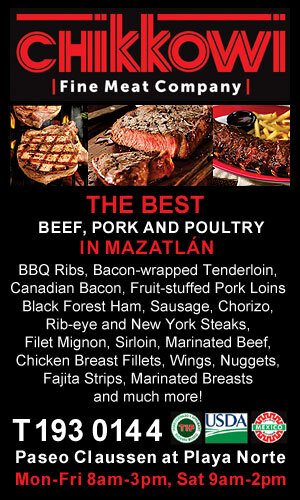 Lined with beachfront restaurants, lots of tourists have found that a perfect street food type beach meal in Mazatlan can be had at Playa Marlin -- usually inexpensively. A really great way to spend an afternoon is to cruise the restaurants eating fresh shrimp, mahi mahi and coconut juice...or maybe some beer and / or tequila shots? Beginning where Paseo Claussen becomes Avenida del Mar -- at the Fisherman's Monument -- Playa Norte is a remarkably clean strip of sand that stretches north uninterrupted for about 3 miles toward the Golden Zone - Zona Dorada and making Playa Norte one of the longest city beaches in Mexico. It is also one of the most popular Mazatlan beaches, and has been since the turn of the 20th century. The water at Playa Norte is usually warm and the waves of moderate size most days. One of the Mazatlan Beach Guide recommended Mazatlan beaches, Playa Norte is the perfect place to enjoy fresh seafood within the shady palapa restaurants scattered along Playa Norte facing the Sea of Cortez. 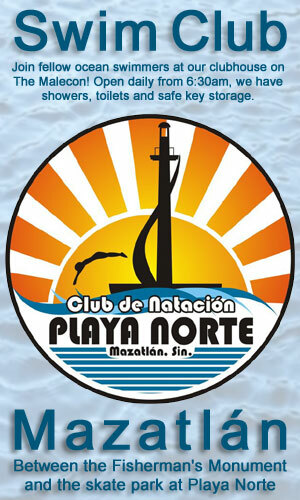 The southern end of Playa Norte is the location of our wonderful ocean swimming culb, Club de Natación Playa Norte, and a skate park. Up at the far north end of Playa Norte, nearing the beginning of the Golden Zone - Zona Dorada and approaching the beginning of Playa Camaron just around the point at Valentino's, is one place where begining and intermediate surfers hang-out and fishermen find that the rocks on the point provide good spots for some of the best beach fishing in Mazatlan. Despite being one of the most popular beaches in Mazatlan, because of the vast size of Playa Norte it is usually uncrowded except for holidays. Simply, Playa Norte is one of the best beaches in Mazatlan! 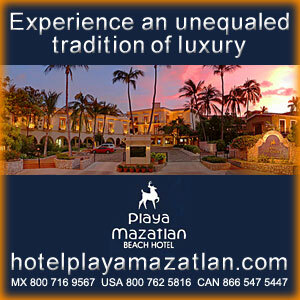 No listing of Mazatlan beach information can overlook the spectacular beaches Playa Camaron and Playa Gaviotas. The row of successful hotels in the Golden Zone - Zona Dorada testify to the beauty of Playa Camaron and Playa Gaviotas. Although these perennially top rated beaches are often described as being parts of one larger beach, they are really quite different. Long considered one of the best beaches in Mazatlan, the Golden Zone - Zona Dorada's more southerly Playa Camaron is relatively narrow, particularly at high tide. Waves at Playa Camaron often break suddenly and recede strongly. At such times, bodysurfing on Playa Camaron is thrilling! Despite the popularity of Playa Camaron, exotic sea shells and other natural fruits of the ocean can often be found in large numbers. About 500 yards north of the point -- near the Las Flores Hotel -- Playa Camaron becomes Playa Gaviotas. There, the beach changes to Playa Gaviotas' silky smooth sand, deeper depth and gentle slope. Waves usually roll in softly at Playa Gaviotas, and this beach is almost always favored by a gentle sea breeze. Arguably the most popular beach in Mazatlan, the Mazatlan Beach Guide encourages every visitor to take a stroll on Playa Gaviotas, one of our best beaches! Playa Sabalo begins at the north end of the Golden Zone - Zona Dorada, and has long been considered one of the best beaches in Mazatlan. Sheltered from the open ocean by our beautiful islands, the water at Playa Sabalo is usually calm, making Playa Sabalo a top rated beach destination for swimming and water sports. Sailing excursions, water skiing, parasailing, and banana-boat rides are all offered on Playa Sabalo. Just take a bus or taxi to the north end of the Golden Zone - Zona Dorada and walk north to Playa Sabalo -- you won't be sorry! 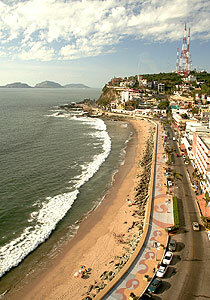 The Mazatlan beaches of Playa Cerritos and Playa Bruja are at the north end of the Cerritos district. Playa Bruja, named for female witch doctors who used to perform their rituals there is one of the most beautiful of our beaches, and often largely empty -- many recommend it as the best place for a private beach picnic! 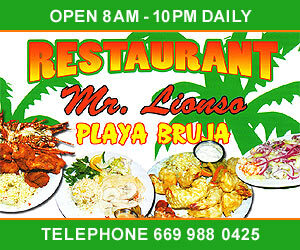 Or, if you've left the picnic basket at home, this northern tip of the new Mazatlan not only has a number of popular and inexpensive traditional Mexican seafood palapa restaurants, but has become a hotbed of new restaurants like Roy's, The Last Drop, and Looney Bean Coffee and the traditionally popular Mr. Lionso Playa Bruja. On wavy days these beaches are very popular with surfers and body boarders! At the very end of the boulevard a rocky tidepool shelf juts out into the waves, forming a protected cove. It is widely believed that this is the best shore fishing spot in Mazatlan and that information would appear to be accurate: half a dozen lanchas are usually pulled up on the rocky beach, while just off shore divers hunt for oysters in the clear, calm sheltered waters. Take any Cerritos bus north from the Golden Zone - Zona Dorada and enjoy Playa Bruja and Playa Cerritos, two of the most beautiful and isolated Mazatlan beaches. 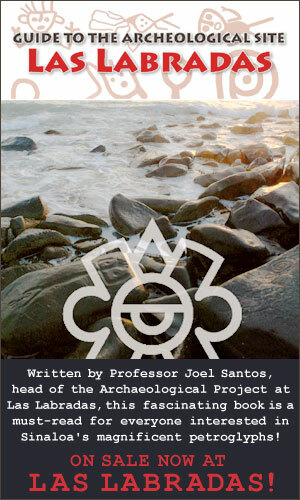 Information about this unique beach and Sinaloa ecological reserve, home to the Ridley Turtle! Playa El Verde Camacho is way more than a pretty beach -- it is one of the most important eco-reserves in Mexico and home to one of the primary nesting habitats of the Olive Ridley Sea Turtle. 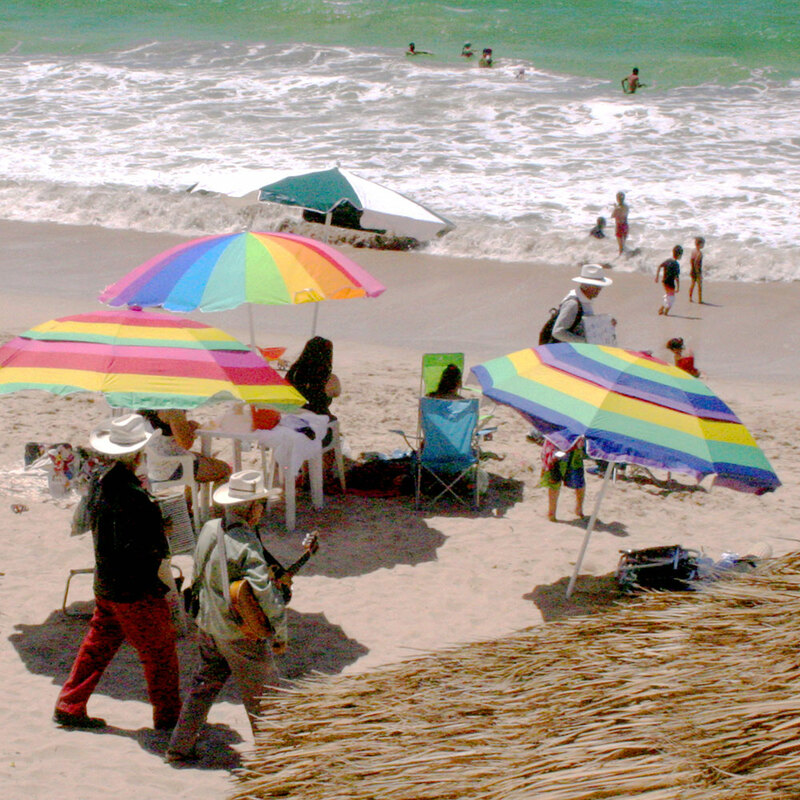 Located just north of the Pueblo Bonito Emerald Bay resort, this four mile stretch of pristine beach stretches all the way to the mouth of the Quelite River, and has been certified as a conservation area and restricted development zone by the Instituto Mexicano de Normalizacion y Certificacion -- the first beach in Sinaloa to receive this prestigeous designation. More than just a top rated turtle sanctuary, Playa El Verde Camacho and the vegetation that surrounds it are home to many types of bids and other native Sinaloa wildlife. Playa El Verde Camacho is a natural treasure, and protecting its pristine character is every visitors responsibility. Re-certification as an ecological reserve depends on re-inspection every two years, and that certifying authorities are convinced that the location is not being polluted by human presence. Beyond the mechanics of certification, this is the home of beautiful wild creatures, and we are the visitors here. Never touch -- or attempt to touch -- any wildlife, and remember never to leave anything behind when you go. 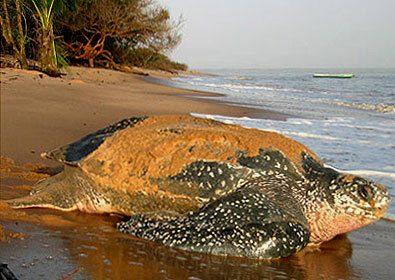 It is strongly advised that those who want to visit Playa El Verde Camacho go with an eco-tour. Your tour company will assure that you get the most out of your visit by explaining the flora and fauna you see, as well as make sure that your entry to and exit from the beach are as low impact as possible. Often overlooked in Mazatlan beach information, Deer Island is a true gem. A designated Nature Reserve, Isla de Venados is one of the more pristine beaches that can be accessed from the city. The central of the three islands visible off Olas Altas beach (Isla de Chivos / Island of Goats: Left; Isla de Venados / Deer Island: Middle; Isla de Pajaros / Island of Birds: Right), its warm calm clear waters are ideal for snorkeling -- and relaxing! Deer Island is a place of truly unspoiled beauty just off the bustling beaches of The Pearl of The Pacific. Check out this video: can you believe a major city is so close to this unspoiled paradise? Most tourists get to Deer Island with one of our tour operators. The boat ride to Deer Island is short, and many tour operators provide activities, such as snorkeling, beach volleyball, Banana Boat rides, food and beverages. Most Deer Island tours last from 4-6 hours. Barras de Piaxtla a quaint Sinaloa beach town located just a couple of miles south of the petroglyphs at Las Labradas, about an hour north of Mazatlan. 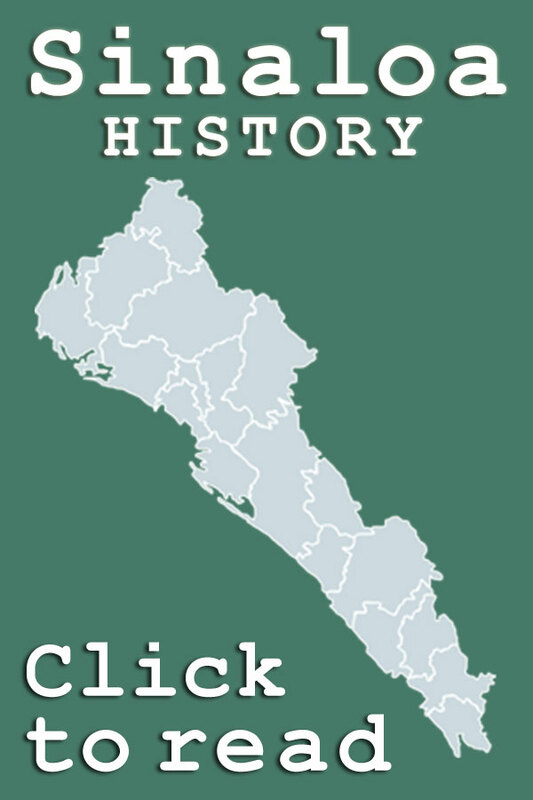 First noted by history in 1823 -- it was used as a port by mining operations from the earliest days of mining in Sinaloa -- it is now a fishing village of a little more than four hundred, and home to the first lighthouse north of Mazatlan's El Faro. The coastline boasts both lovely fine sand beaches and massive cliffs that are home to the spectacular natural arch La Ventana. Barras de Piaxtla is also adjacent to the enormous Meseta de Cacaxtla eco- reserve which, at over 125,000 acres, is one of the largest protected ecosystems anywhere in Mexico. Meseta de Cacaxtla is home to a very wide range of flora and fauna, including massive numbers of birds -- especially, of course, pelicans -- that can be seen flying over the Barras de Piaxtla beaches and nearby islands daily. Barras de Piaxtla is in the municiplaity of San Ignacio and is only about thirty miles from the heart of that beautiful colonial town, so a little beach time can be combined with a day trip to San Ignacio! Barras de Piaxtla is about fourty miles north of Mazatlan. Drive north (toward Culiacan) on the toll road (Hwy 15). At kilometer marker 59 you turn right (east) and loop back over the toll road to proceed west about three miles on dirt road to the beach. Las Labradas was once one of the least discovered of out-of-town Mazatlan beaches, but it has become very popular in recent years. Located little more than an hour north of Mazatlan on the Sinaloa coast near the fishing village of Barras de Piaxtla, a trip to Las Labradas will put you on a fantastically beautiful beach with black rocks which contain petroglyphs -- stones with ancient symbolic carvings. 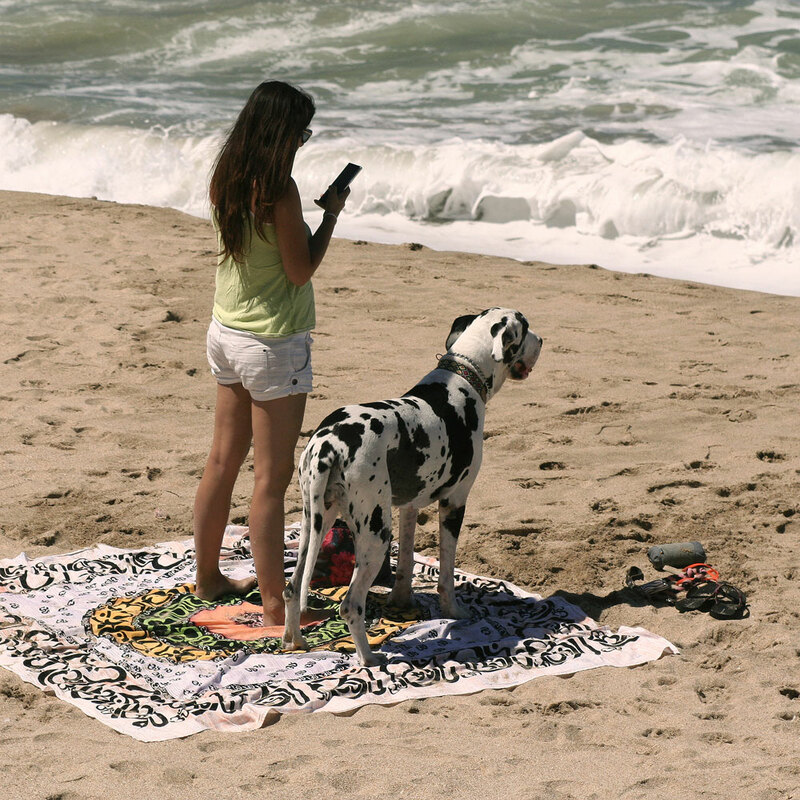 The beach at Las Labradas stretches endlessly in both directions, and despite the newfound popularity it is very common for beach goers to have hundreds of yards of space -- or more! -- to themselves. There relatively few amenities at Las Labradas, so remember to bring what you want to eat and drink. 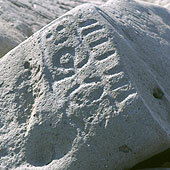 There is a display of archaeological information and historical photographs in a structure at the entrance to the beach. This museum makes for a nice break on beach trips to Las Labradas, and offers refreshing shade! The charge is just a few pesos, and donations are welcome. 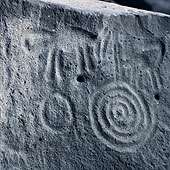 The petroglyphs at Las Labradas are amazing! They are beautiful ancient artistic expressions of the pre-Columbian people of Sinaloa, as well as a gateway into their spiritual lives. Something truly different among our Sinaloa beach day trips around Mazatlan, at Las Labradas you can combine a visit to a pristine beach with an art tour of pre-Columbian Sinaloa! 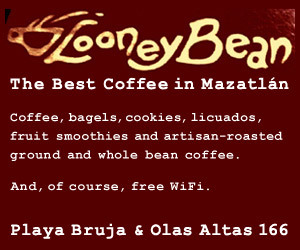 To begin Mazatlan day trips to Las Labradas head northwest on Highway 15. Little more than 4 miles north of town Highway 20 will split off to your left. Follow Highway 20 North for about 40 miles (before you arrive at a town called Dimas) and you will see a dirt road that splits off to your left -- directly toward the beach. Take the dirt road (passable with normal vehicles) to the beach and you will be at Las Labradas! The Sinaloa beach at Playa el Caimanero is a hidden gem -- a beautiful unspoiled public beach just an hour south of Mazatlan! Little more than 40 miles southeast of Mazatlan, these beaches are rustic, spectacularly tranquil, and a great destination for a day trip! The El Caimanero public beaches are primarily visited by Mexican families. Playa el Caimanero beaches draw a fair number of people on weekends and during holiday periods, like the week of Semana Santa and the August school holidays. Other than at those times, visitors can expect a wide open beach with very few other people. Human-provided amenities are few -- we suggest that you bring what you want to eat and drink -- but nature's amenities of warm water, gentle sea breezes, and sunshine are available in abundance! If you want to get off the Caimanero beach, directly inland there are two very large lagoons -- which are really one extended body of water covering over 45,000 acres -- Laguna el Caimanero and, to the north, Laguna Huizache. These beautiful coastal lagoons are only slightly inland, and offer freshwater swimming, fishing and some really great bird watching -- they are home to over 20,000 shorebirds representing over 20 species! 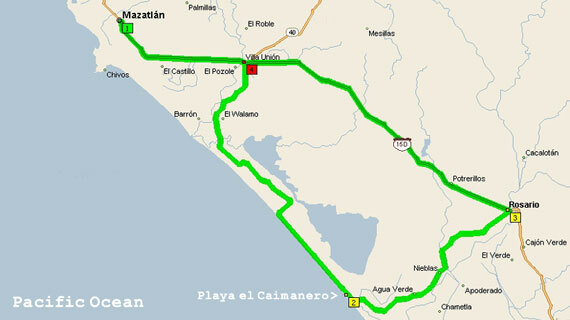 There are two routes to get to Playa el Caimanero, and both have advantages and disadvantages. 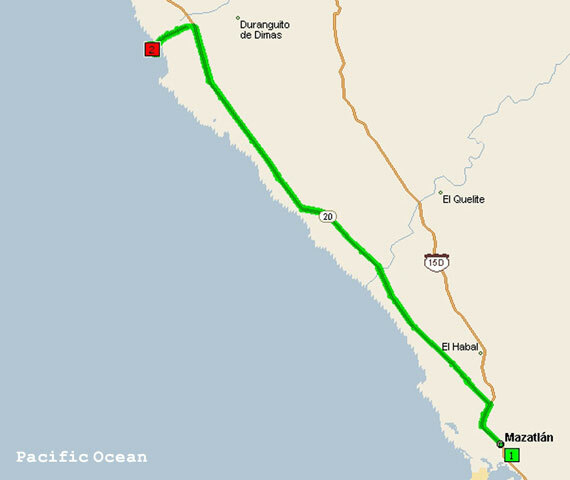 The Shorter Route is more scenic and involves driving south on Highway 15 (toward Tepic) and cutting south to the coast on local roads at Villa Union. Total mileage for this route is about 41 miles, the majority of which are on local roads beyond Villa Union. The Longer Route involves staying on the Big Road -- Highway 15 -- to El Rosario, and then turning back southwest on local roads. This route adds about 20 miles to the drive, but somewhat shortens the mileage on local roads. Make it a two-fer day trip? 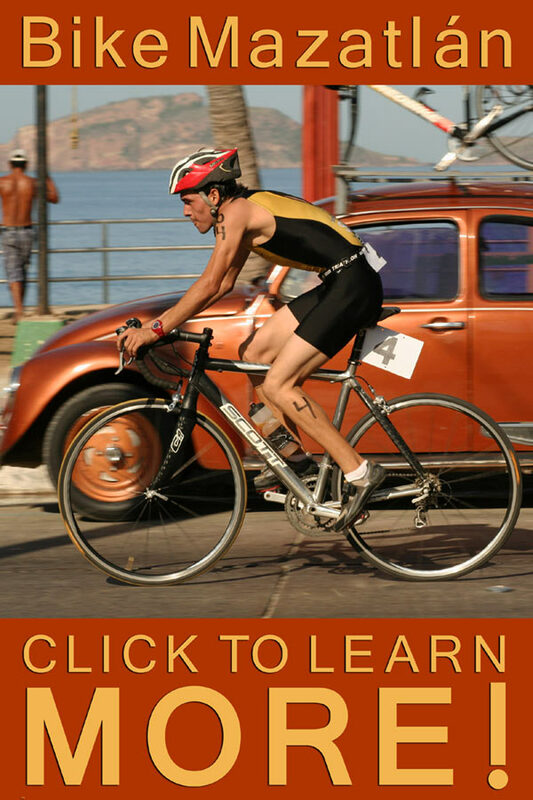 The entire loop that uses both ways to get to and from the Playa Caimanero beach (both routes are shown on our map) is just 102 miles, so a visit to the beach and a visit to El Rosario can be accomplished in one day. Make sure that you understand that both routes to Playa Caimanero take you through Villa Union, home of El Cuchupetas Restaurant where they serve some of the finest seafood anywhere in the world! Reviews and traveler info about the 13 best beaches in and near Mazatlan, Sinaloa, Mexico including recommendations about where to surf, parasail, snorkel, fish, party and get a great suntan in 2019!